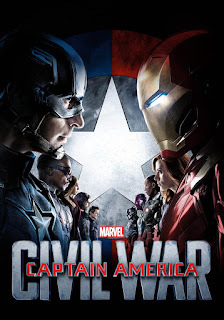 I’m not willing to say with any certainty after only one viewing that my positive reaction to “Captain America: Civil War” doesn’t have a lot to do with my overwhelming disdain for “Batman V Superman." These films are doing very similar things, but I can say with certainty that "Civil War" is far and away the better film. The troublesome thing about these hero movies is that innocent people tend to die whether or not action is taken, and the supposedly heroic deeds leave mass destruction in their wake. Both Marvel and DC have now made films that pit their biggest heroes against each other over their differing ideals about the morality of what they choose to do, the way they go about it, and the cost the innocent pay for their actions. Yet the moral quandaries are far more developed here, each side is given time to present their perspective while they grapple with what’s been done over the course of the many Marvel films that have preceded this one. Where the motivations and morals found in “Batman V Superman” were muddled and murky at best, here things are far more clear and there is real emotional weight to what goes on. In fact, despite the vast amount of characters here, the Russo’s manage to give emotional weight to each of the smaller one-on-one fights taking place during the film’s main battle sequence. There is, of course, the question of whether or not more people would have lost their lives or freedom had no action been taken, but the returning directing team of the Russo brothers (they directed “Captain America: The Winter Soldier”) frame it all in a way that makes sense. Vision (Paul Bettany) draws attention to the fact that as people with special abilities continue to come out of the woodwork, there has been a noticeable rise in catastrophic events. As the good become more powerful the evil continues to escalate. The obvious question is, are they responsible for the evil itself? Tony Stark created the villainous Ultron in the last "Avengers" film so the idea is fairly fresh in our heroes minds. Half the Avengers agree to be put in check and the other half don't. They fear the possibility of being made to obey someone else’s agenda. What would happen if they were sent to deal with a situation they didn’t want to be involved in, or weren’t allowed to get involved in a situation in which they know they’re needed? Captain America (Chris Evans) wants to be able to choose his own destiny and avoid jail time for disobeying someone else’s rules when he might know better. Iron Man (Robert Downey Jr.), on the other hand, has seen the danger of acting freely without checks and balances. Neither side is completely right, nor are they completely wrong. Yet as complicated and perhaps boring as all these politics may sound, they’re packaged in an action film that keeps an energetic pace as it navigates from action set piece to action set piece. At it's heart this film is about loyalty, friendship and vengeance and how those things conflict. As such it’s a darker film for a franchise that has maintained a lighter tone to their films overall. Yet as is the case with so many of these Marvel films, it’s infused with lighter moments and laugh out loud character moments that break the tension without making a mockery of the events taking place. In fact it's those small, clever character moments grounding these characters who might otherwise feel unapproachable. Following the events of "The Winter Soldier," Cap is out to protect his long lost friend Bucky Barnes (Sebastian Stan), who may just be the last thing he knows from his previous life. Despite his villainous deeds, we know Bucky is a good man forced to do terrible things, and events (which I won’t detail) conspire to put him in the crosshairs yet again. The new bill created by the UN requires that Bucky be brought in and placed in custody. Yet Cap's desire to protect Bucky isn't as simple as their friendship, it's symbolic of the central moral debate. For years Bucky was used by Hydra as a tool to enact their agenda, and Cap realizes signing the UN’s bill would put both he and Bucky and everyone else at the mercy of another group's agenda. And as we know from the failure of SHIELD, even the good guys can be compromised, and that was when we thought we agreed on who the "good guys" were. Much like “Batman V Superman,” in “Civil War” we tend to wonder what the truth is and who knew what and when they knew it, and whether or not the conflict could have been more easily resolved had the characters simply talked to each other. There is a sideline villain here that serves a similar role as Lex Luthor, though in a far more emotionally impactful way, even if he tends to get lost in the shuffle from time to time. In fact, despite being such a normal character for the MCU, he ends up being one of the best villains they’ve put on screen if only for the Russo’s ability to humanize him, Daniel Brühl’s performance, and the fact that his deeds have the potential for a far more lasting impact on the heroes of the MCU than any previous villain. Much like “Captain America: The Winter Soldier” the Russo’s bring a more gritty, frenetic action that gets better as the film goes. It begins with a bit more “Bourne” style shaky cam than I care for, but it eventually gives way to bigger, grander, more coherent sequences. The fights here are smaller, more intimate fights that feel like a necessary change of pace for the series. Rather than building up to a massive battle that topples buildings and levels cities, the scale of the fights feel more appropriate to the character driven story being told. Despite absent Thor and Hulk (it adds two newcomers in their place), “Civil War” features a vast amount of the Marvel lineup and gives most of them just enough screen time to warrant their presence, but it never strays too far from Captain America’s inner struggle. There have been complaints about too little screen time for some, but given what we already know about most of them, little more was needed to justify their role here. For films that have so much to balance, it continues to be remarkable how well constructed and well executed these Marvel films are. It isn’t without its nitpicks, it’s not a perfect film (are there any perfect films? ), but it does a lot of things right and makes for an entertaining film despite it’s relatively few flaws. The Russo’s are talented filmmakers, and “The Winter Soldier” and now “Civil War” are two of the best films contributed to Marvel’s cinematic universe.